When you start to contact number plate companies, you will probably see a vast difference in the costs that people claim to be able to do this for you. What you need to be aware of is that cheapest isn’t always best. You need to be aware of what you are getting for your money and make sure that whatever you buy is the best number plate for you. Of course the first thing you need to make sure of is that you own the number plate. Getting a number plate made up is not enough – because anyone can do that! You have to be the registered owner of the number plate/vehicle in question. If the number plate company you are dealing with doesn’t take steps to check this, then you should probably steer well clear of them and their services. Another thing that you need to check is that the number plate you are buying is suitable for use on a roadworthy vehicle. It is easy to get a number plate printed but you need to have one that meets all of the legal obligations that are set in place. What you will find in the small print of many number plate companies terms is that they only deal with ‘show plates’. This means that they are really only made for novelty, and not to be used on a car/vehicle. You can land yourself in trouble if you go ahead and use this on your vehicle – including failing your MOT and even getting a hefty fine! Of course most companies operate legitimately so you don’t have to worry too much, but just keep your wits about you and make sure that whatever you are investing your money in is something that is going to work for you. 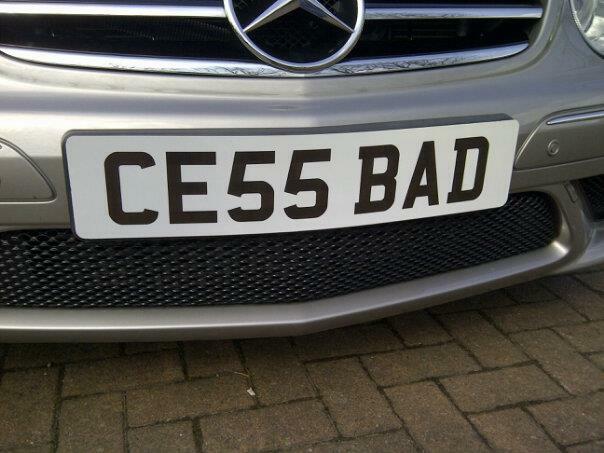 We all know that personalised number plates can look fantastic on a vehicle. Whether you already have a car that stands out from the crowd or you simply want your everyday vehicle to look better, >personalised number plates could be exactly what you are looking for. However when it comes to getting these made up, you have to take several things into consideration. At the end of the day number plates are there to fulfil a legal obligation – so you cannot just go ahead and have these made up however you want. You have to bear in mind the legal rules to ensure that whatever type of personalised plate you have isn’t going to get you into trouble. Of course you also have to make sure it is registered properly, because you can’t just ‘decide’ on your own number plates. What Should I Bear In Mind? –	Letter size and spacing must be of a set size. While all of this can seem confusing to get right, if you use a professional number plate company then they take care of this for you. There are different number plate companies that you can use but you must use one that follows the British Standard guidelines. That way you can feel confident that your number plate is not only going to look great, but it is also not going to get you into trouble by being printed incorrectly. 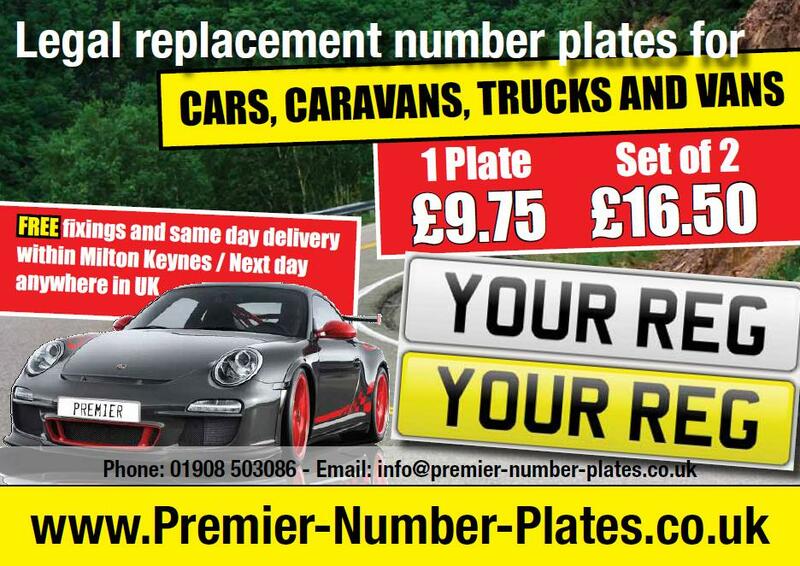 Replacement Number Plate Prices – We have the Cheapest Prices online !! POLICE forces have combined their resources to target those using illegal number plates. Essex, Suffolk, Norfolk, Cambridgeshire, Hertfordshire and Bedfordshire Police are working together on Operation Dragon for three weeks until August 5. Illegal number plates are often used on cars and vans involved in crime because they are difficult for officers to read and identify. So traffic teams are working together to spot the culprits. Last time about 300 drivers were given fines of up to £1,000 each for the offence. A businessman has been banned from using his personalised number plate after traffic officials said it was illegal to use on the road. Police have warned Dave Day, who founded the Golden Lion chain of pubs in Brighton, that he faces prosecution if he continues to use the £8,000 MR L10N plate on his chauffeur-driven Bentley. For the past seven years the plate has been well known in the city with tourists flagging him down to have their photo taken with it. But last month the 61-year-old was flagged down again, this time by an unmarked police car on Brighton seafront. 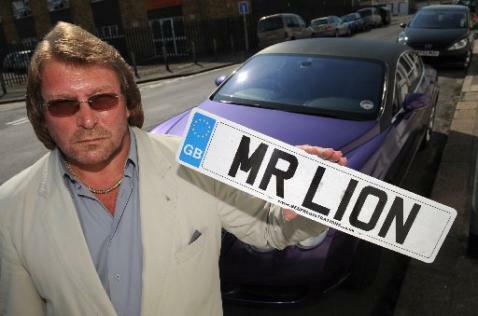 Officers issued him with a £60 fine and told him that Mr Lion had to go because the letters were not spaced out correctly on the number plate. Mr Day, whose pubs include The Cricketers, The Long Man of Wilmington and The Ladies Mile, admits he did have the L moved a couple of millimetres to make the two words more distinguishable. He said: “People get plates adapted or altered all the time. You would think the police have got better things to do than chase around after my number plate. He said he found the fact that officers acted on the legal technicality of the spacing between the R and the L being illegal “pathetic”. Members of the Day dynasty are recognisable in the city for their signature plates. His daughter has MI55 DAY and his son owns L10N LD. A spokeswoman for the DVLA said: “We make it very clear that registration marks must be correctly displayed. 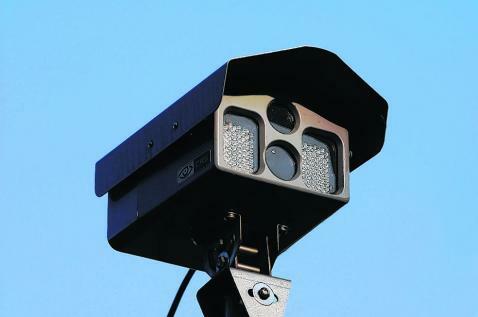 Misrepresented number plates can cause problems for enforcement bodies like the police using automatic number plate recognition cameras. A Sussex Police spokesman confirmed that if someone continuously failed to comply with the law regarding number plates they could face criminal prosecution. A football fan is set to cash in on United’s historic season – with a car registration plate celebrating the Reds’ record-breaking success. Bilal Chawala, 31, paid just £250 for the registration M19 WON before United secured their 19th league title. He’s already turned down an offer of £5,000. Bilal himself doesn’t want the plate – he’s a Liverpool fan. The Reds’ latest title saw them surpass their Merseyside rivals to hold the record number of top-flight league crowns. But canny Bilal, an accounts manager from Levenshulme, Manchester, said his investment was a simple case of forward-thinking. He said: “I thought of the idea about buying plate when I was watching a United match on television in March. “I did a bit of digging and researching and just took a punt on it. Now it is a sound investment and a piece of history. 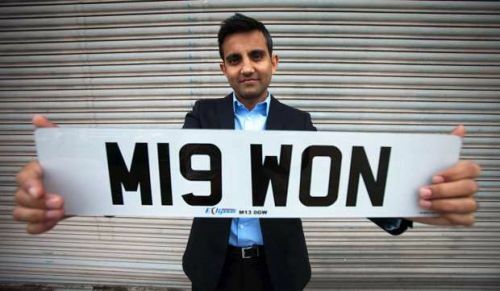 Bilal now plans to put the registration plate up for sale on eBay. He said: “It is hard to put a price on it because its worth whatever someone is willing to pay for it. News stories of late have been full of registrations that have been ‘firsts’. The registration M1 was sold in 2006 for a then record fee of £331,500. M1 was the very first registration issued in Cheshire, in 1903, and was sold at the Goodwood Festival of Speed in 2006 to businessman Mike McComb. Mr McComb made his millions in the mobile phone industry, selling his chain of stores to BT Cellnet in 2000 for £40m before turning his hand to property development. It’s alleged that he purchased the M1 number plate for his then 10 year old son, but it seems dad has borrowed it as it’s currently being sported on a White Mercedes Benz SL63 AMG convertible. Two years later and at its second attempt to sell, Essex County Council sold their F1 vehicle registration for a whopping £375,000. 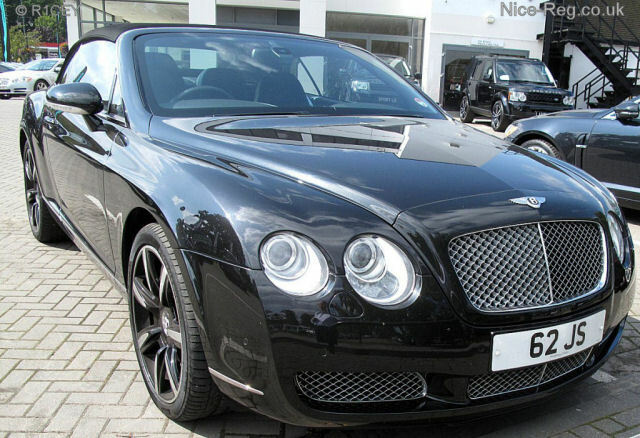 This smashed the previous record and was bought by Bradford-based businessman Afzal Kahn. Once the VAT had been added Mr Kahn stumped up £440,625 to use this number plate, that for many years had been worn on the Essex County Council Chairman’s Volvo. First registered in 1904, the year that it became compulsory for all motor vehicles to bear a registration plate, it was owned by Essex County surveyor, Percy John Sheldon. It was handed back to the county in 1955 after over half a decade in private ownership where it was used on a series of civic limousines. The money made by the council is to be put towards road safety, by improving the skill level of young drivers in Essex. More recently it has been published in the press that Mr. Kahn has turned down a £5 million offer for the registration, which has been used on a number of different vehicles including a Bugatti Veyron and a Mercedes-Benz SLR McLaren since the Kahn Design founder took ownership. While these are now both considered private number plates, and incredibly sort-after ones at that, they weren’t issued with that intention. The fact that they are number 1’s is simply down to the number system, and that they were issued before any other registration in their respective counties. They don’t represent a name or a person’s initials and the original owners only came by them by the good fortune of being wealthy enough to own a vehicle in the early 1900s and generally, knowing somebody at the issuing office! The story of the private number plate is a little different. T8 was probably not the first private number plate as many people think, but is generally considered the first ‘celebrity’ number plate and records only really exist due to its famous owner. The T-style registrations were also brought in during the first decade of the twentieth century in the Devon administrative area and T1 would’ve been the first issued, much like F1 and M1. 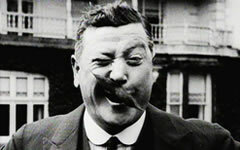 However it was T8 that was famously owned by music hall comedian, Harry Tate, who later became a film star in the 1930s. 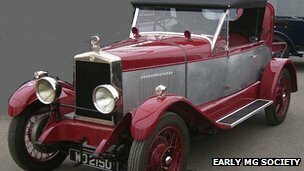 Rare two-seater 1928 car found buried under a cowshed in Gloucestershire has won a Best Vintage Car award. All the parts of the 1928 MG MK IV Sports car were found in 1999 on a farm “carefully dismantled” and laid in the ground under two inches of concrete. “When it was found it was completely taken apart, laid out flat and covered in gravel and one or two inches of concrete,” said Mr Body, a car enthusiast who bought the parts when the owner put them up for sale. “I think what must have happened was the war was coming and someone thought ‘they’re not taking my car for scrap’. “Some of the original leather from the seats and paint work was there so we could colour match it as near as possible,” said Mr Body. 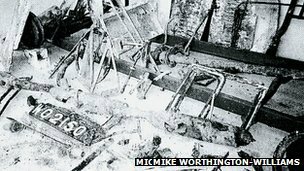 “But some of the aluminium had corroded where I think the concrete had cracked and urine from the cow house had got in. A spokesman for the Early MG Society said: “There is no history on this car until 1999 when it was miraculously ‘discovered’. Olympic enthusiasts can soon take a piece of the Games home with them in the form of personalised car registration plates. The DVLA, which was recently appointed an official licensee for London 2012, has produced up to 1,750 plates as part of a deal with the London 2012 organising committee. Fans have the opportunity to buy the merchandise at a three-day auction to be held between June 7-9 at City Hall in London. Some of the plates will read RUN 100M, GO11 DEN and GB12 ROW. An official box-set that goes with the licence plates will also be up for grabs. Officials expect the London 2012 merchandising programme to produce sales to the tune of £1 billion.